WTDT is FREE on Amazon Kindle today through Saturday, February 11th! Download your copy today! You can preview the WTDT Prologue in the blog post below, or sample WTDT for FREE on Amazon here! The young boy watched his mother’s chest barely rise and then fall quickly, like a deflated balloon. Even from across the room, with the day’s laundry casting a protective shadow over him, he could hear her lungs struggle for air. Their family room – one of two rooms in the place they called home – was small, damp and almost dark except for the pale light sneaking in through the room’s lone window. It was nighttime, but the moonlight cast an eerie glow upon the scene in front of him. He almost could not make out the color of the gringo’s skin – almost. Thank you for checking out my website! 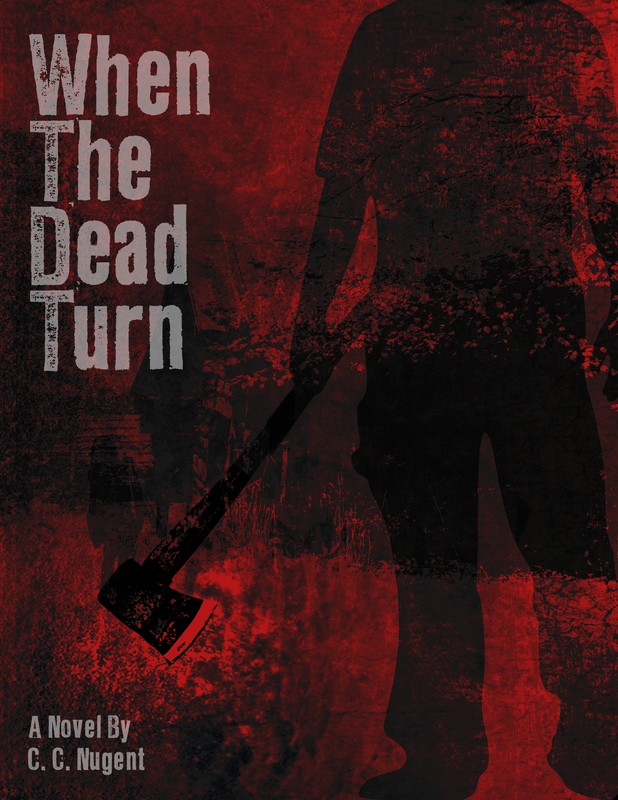 You’ve come to the right place for updates on the When the Dead Turn series and future releases by author C. C. Nugent (me!). But there’s also the unverified human side of me, lurking in the shadows…. If you’re interested in “Is this the zombie apocalypse” sightings, enjoy self-deprecating humor or perhaps are in need of some zombie survival tips from a six year old (my own creative human child), then you can follow me on Twitter @CCNugentAuthor. You can also “Like” my Facebook Page. Thank you to all of the WTDT fans – living and undead! WTDT Now Available on Amazon Kindle! When the Dead Turn is now available on Amazon Kindle! You can preview and download WTDT here. Stayed tuned for more on promotions, giveaways and more! New Date for When WTDT Enters the Land of the Living: Summer of 2016!! Peetie on WTDT Book Cover!